In this post, guest blogger is Daniel Fernando of the Manta Trust explains how scientists are working to study and protect beautiful manta rays in the wild. The Manta Trust recently asked the Aquarium community to help name two recently tagged rays. Thanks to everyone who submitted names! A winner will be announced Tuesday, Sept. 16, 2014. Manta and mobula rays, commonly referred to as devil rays due to their two “horns” or cephalic fins on their head, are among the largest and most charismatic fish in the ocean. The 11 mobulid species form part of the elasmobranch family and are therefore closely related to sharks, and similarly, are greatly sought after by avid scuba-divers intending to check them off their bucket-list! Sadly, they are also highly threatened and in dire need of both national and international protection throughout their range. This is mostly due to the fact that over the past decade, well manipulated marketing coupled with the declines of more desirable fish stocks has driven an international trade for their dried gill plates – the tough cartilaginous structures that enable mobulid rays to filter plankton from the water column – resulting in the development of a target fishery for these species. 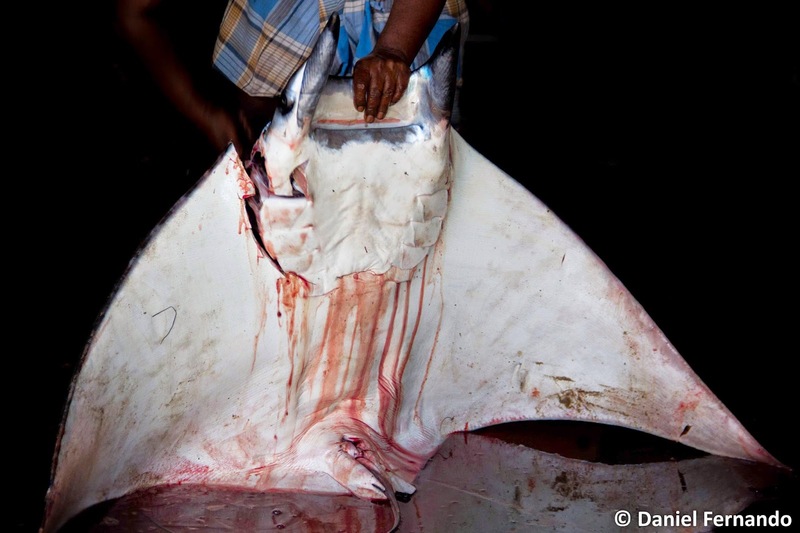 Manta and mobula rays are killed for their gill plates. These gill plates are used in Chinese Medicine. The dried gill plates are sold in Chinese medicine, claiming to purify blood and cure ailments such as the common cold, chicken pox and asthma, among others. There is no scientific proof to validate any of these claims and recent studies even show that gill plates might be harmful when consumed in large quantities, due to the accumulation of certain heavy metals, such as arsenic. Most consumers of this “medicine” are however not even aware that it originates from a threatened species, highlighting the need not just for controls on the trade, but also an increase in awareness among the public. Given the extremely conservative life cycles of mobulids—due to their late maturity, low fecundity, slow growth rates and few natural predators—any form of fishery that targets these species will most certainly be unsustainable. However, in order to bring about the regulations necessary to adequately protect and manage these species, we require a great deal of information to scientifically back any claims we make. We need to know about the biology and ecology of these rays and obtain an idea of their global population sizes – which is not as easy as one might think! There are three main areas of focus to obtain such information: 1) living populations, 2) fisheries and trade, and 3) genetics and other laboratory techniques. The study of living populations is by far the most popular and best recognized by most people, thanks to amazing underwater photographs of both manta and mobula rays from some of the most exotic locations in the world, such as the Maldives, Hawaii, Yap, and Borneo, just to name a few! 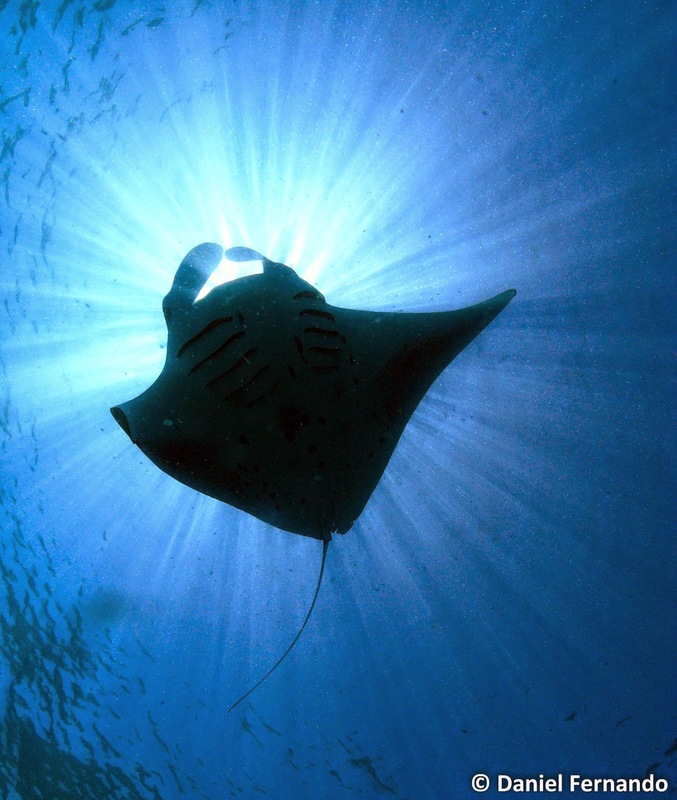 These studies employ techniques such as photo-identification, which makes use of unique spot patterns, similar to fingerprints, on the undersides of manta rays when they visit well-known feeding or cleaning aggregation sites. 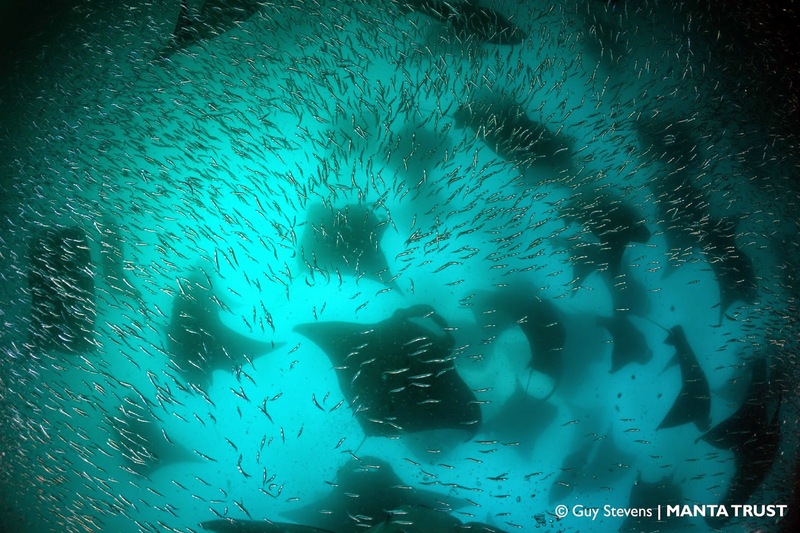 Manta aggregations such as these are focused around feeding or cleaning sites. The smaller mobula rays on the other hand prove to be slightly trickier to see in the wild and this is where our second area of focus helps provide some degree of information on these evasive species. Through comprehensive fishery surveys in countries where these rays are caught as either target or bycatch species, we are able to collect large quantities of data pertaining to species demographics, sizes, age at maturity and so on. 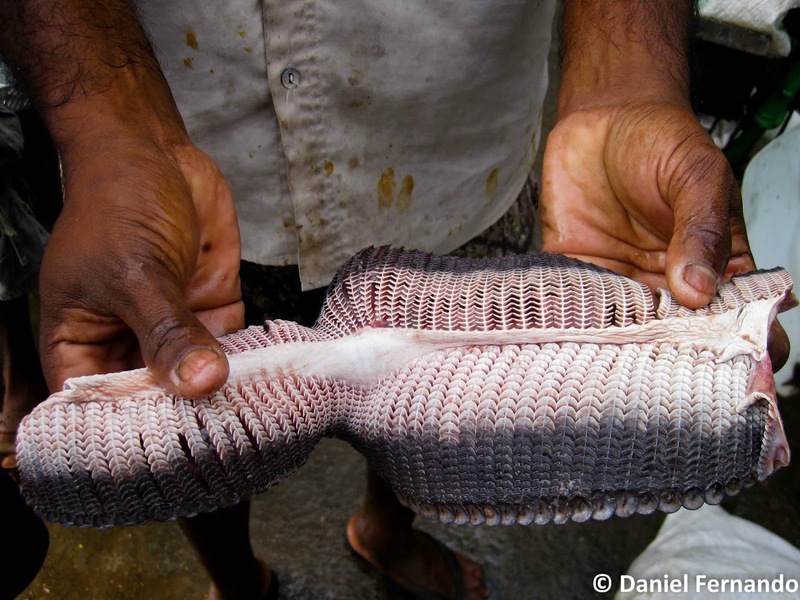 All of this data helps shed light into their mysterious lives and provides us with data required to help control the fisheries of these vulnerable species. Finally we get to the genetics! Colleagues working tirelessly in laboratories around the world are responsible for analyzing the large number of tissue samples collected both from living populations and fisheries specimens. The analyses encompass a wide range of techniques from genetic barcoding to identify specimens down to species level, stable isotope analyses to determine their primary food sources and foraging regions, and even to determine how distinct each population of mobulid rays are and when exactly, on an evolutionary scale, they became a separate species. Genetic investigations such as these provide us with critical data that not just allows us to learn more about these animals but also help enforce international regulatory bodies such as CITES and CMS via the use of genetic identification tests in trade regulation. Research data from living populations, fisheries and genetics is what enables us to gain a deeper understanding of these animals and create a clearer image of the threats these species face, which in turn supports and facilitates the introduction of appropriate management controls and methods to help save these species. Ultimately, the conservation of species such as mobulid rays, which are not constrained by political geographic regions, is only feasible through an international multifaceted approach using methods ranging from the implementation of marine protected areas (MPAs), the introduction of local and international management measures (such as CITES and CMS), seeking alternative livelihoods for fishermen, and educating the general public and consumers about the reality of the situation.